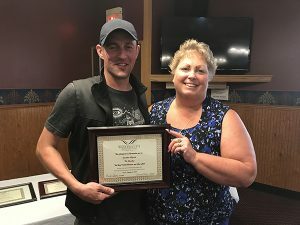 The West Duluth Business and Civic Club (WDBC) honored entrepreneurs in the business community of West Duluth with a Certificate of Appreciation. There are six new businesses that have opened their doors in the Western area of Duluth recently and the WDBC wishes to acknowledge and honor the spirit of entrepreneurship of the owners. Awards were presented to Shipshape Canvas, Bailey Builds, Duluth Antique Marketplace and The Rambler.